The Museum of Modern Art, New York, is holding the first posthumous retrospective of Robert Rauschenberg (October 22, 1925, Port Arthur, Texas, USA – May 12, 2008). My first encounter with Rauschenberg was at the Centre Pompidou in 2006-07 in an exhibition focusing on the Combines. In the Combines (1954-61), Rauschenberg put together non-traditional materials and everyday objects with abstract painting, blurring the boundaries between painting and sculpture. More recently, Galerie Thaddaeus Ropac showed paintings from the Salvage series (1983-85), the artist’s last series on canvas. Today, Tate Modern celebrates a six-decade career that includes painting, sculpture, prints, photography and performance. Rauschenberg studied at Black Mountain College, North Carolina. Its founders believed studying and practising art was essential and hired Josef Albers to be the first art teacher. 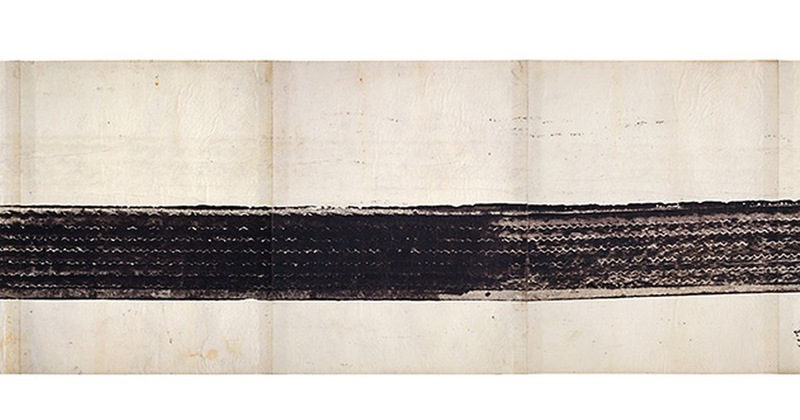 Students were involved in agriculture and administrative tasks and included Cy Twombly, John Cage, Merce Cunningham. Rauschenberg travelled (Twombly), experimented and collaborated (Cage, Cunningham) with fellow students and lecturers. Albers taught to never use an eraser, which compelled Rauschenberg to make works exploring the limits of art. Rauschenberg extended Duchamp’s readymades, producing an artwork through erasure. He first erased his own works but believed there was not much at stake. He approached Willem de Kooning (1904–97) and asked him for a drawing to erase. Kooning reluctantly accepted Rauschenberg’s challenge and gave one of his best drawings. 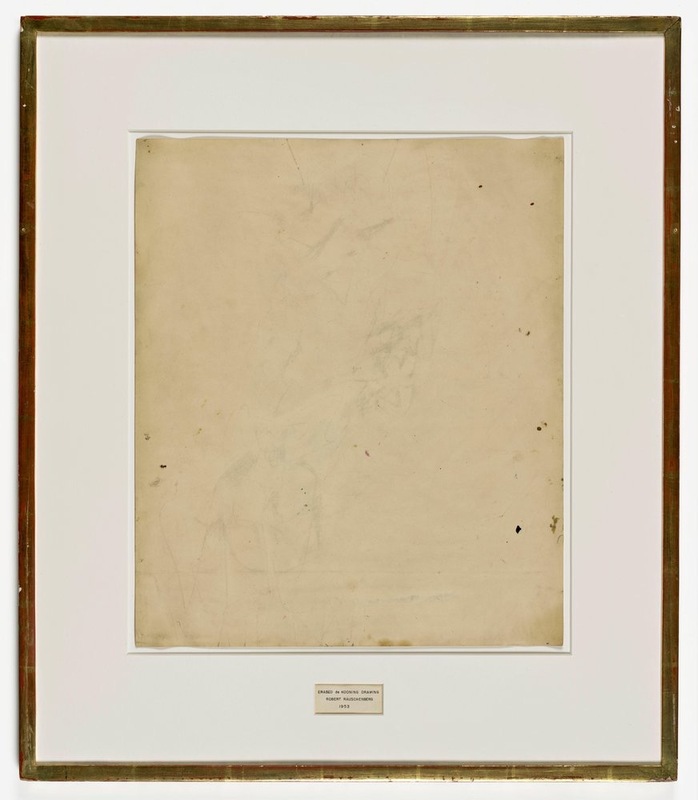 ERASED de KOONING DRAWING ROBERT RAUSCHENBERG 1953 is in the SFMOMA permanent collection and in the Tate show. After the Red Paintings, Rauschenberg started the Combines in 1954. The Combines combine pieces of fabric or paper, ties, postcards, fragments of parachutes, copies of great masters, with abstract painting. Rauschenberg used and improvised with found materials from his block to create alive paintings. 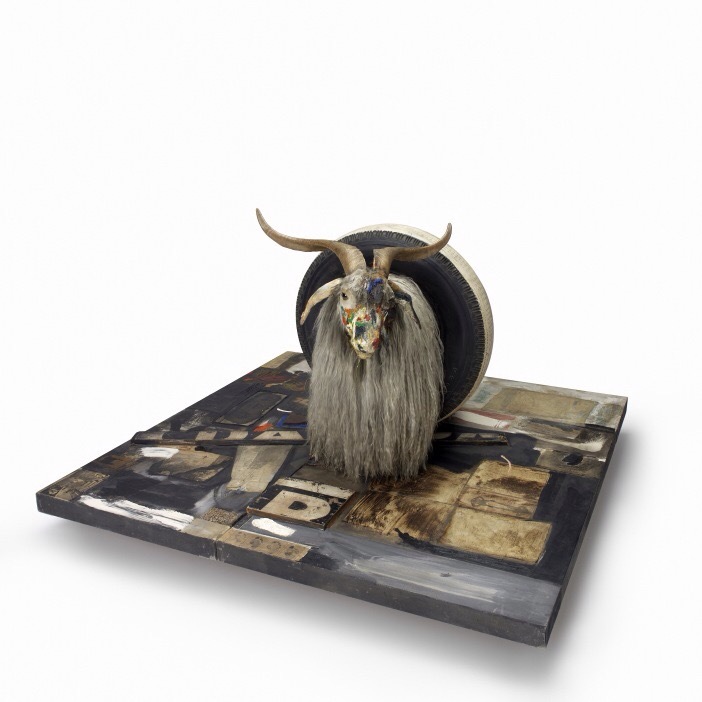 In the iconic Combine work ‘Monogram’ (1955-59), the artist assembled a stuffed angora goat bought in a junk shop, a rubber tyre, a tennis ball and a shoe heel, in a horizontal hybrid between a painting and a sculpture. Later on, he experimented with transfer drawings and after a visit to Warhol’s studio, silkscreens. 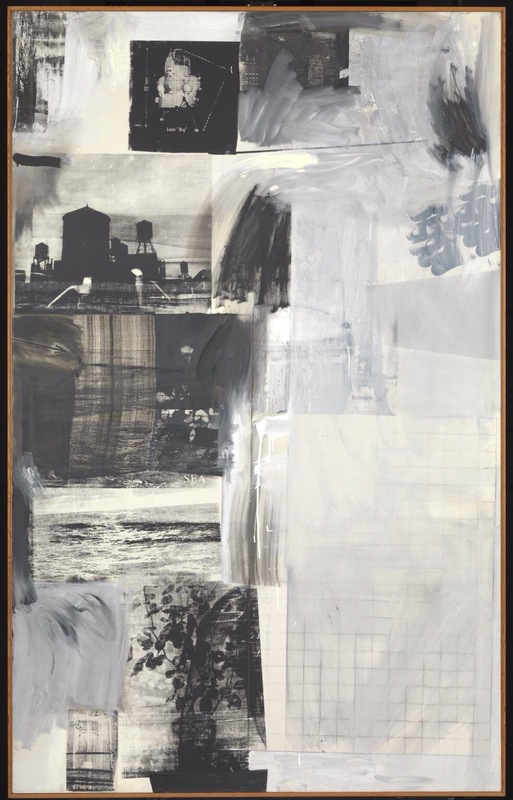 Silkscreens allowed Rauschenberg to enlarge photographs on canvas, for which he used his own bank of photography and mixed “high” and “low” art. In 1964, he became the first US artist to win the Golden Lion at the Venice Biennale, leading to accusations of American “cultural colonisation”. More importantly, Tate Senior Curator of International Art Catherine Wood told us that Rauschenberg called his studio the day after to destroy silkscreen print plates: he didn’t want to repeat himself. ﻿A key figure of American art, Rauschenberg provided a clear contrast with the older generation of abstract expressionist painters (see our post on Abstract Expressionism at the Royal Academy). Rauschenberg’s works have grown on me after repeat visits to the Tate Modern exhibition, as well as his willingness to continually experiment. Robert Rauschenberg is on view at Tate Modern, London (30 November 2016–2 April 2017), the Museum of Modern Art, New York (21 May 2017–17 September 2017) and the San Francisco Museum of Modern Art (18 November 2017–25 March 2018). whoah this blog is fantastic i love studying your articles. Keep up the good work! You know, a lot of people are searching around for this information, you could help them greatly.